My buddy Tom Tullis is celebrating ten years of card-modeling and map-making excellence for gamers by having a birthday sale for his rotund drake friend. It’s 25% off EVERYTHING that he sells. Take a look at it all and you’ll see why I think this is a must-not-miss. Everything You Don’t Already Have!! The Feat Resource Document has over 700 feats from the publisher of the Pathfinder Roleplaying Game Core Rulebook! 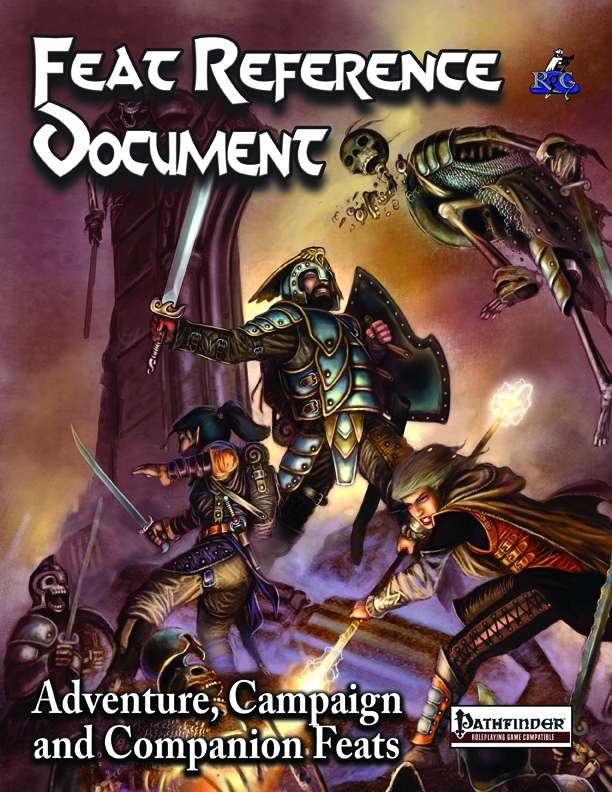 It’s the ultimate compilation of feats that aren’t in the online Resource Document, taken from more than 100 adventures, companions and campaign sourcebooks. All are in as close to their original format as possible with only those flavor changes required to make them 100% Open Game Content. Additionally, every feat has any word changes highlighted, so it’s easy to determine if a feat has been modified in any way from the original published version, and all the needed rules sub-sets are included (so if you take Dragoncrafting, or Deific Obedience, all the rules needed to use those feats are in the Appendix). So stop flipping through scores of splatbooks looking for exactly what you need to make a villain memorable, tie a hero to his homeland, or properly use a dwarven chain-flail. Instead, get everything you need in The Feat Reference Document! It’s the ultimate Pathfinder-compatible companion rulebook. So this has been a long, long time coming. Finally, a pdf version of the 3.5 Player’s Handbook for D&D fans is available. Fans who stuck with this particularly popular iteration of the World’s Most Famous RPG will be glad to have this on the virtual, keyword-searchable shelves. 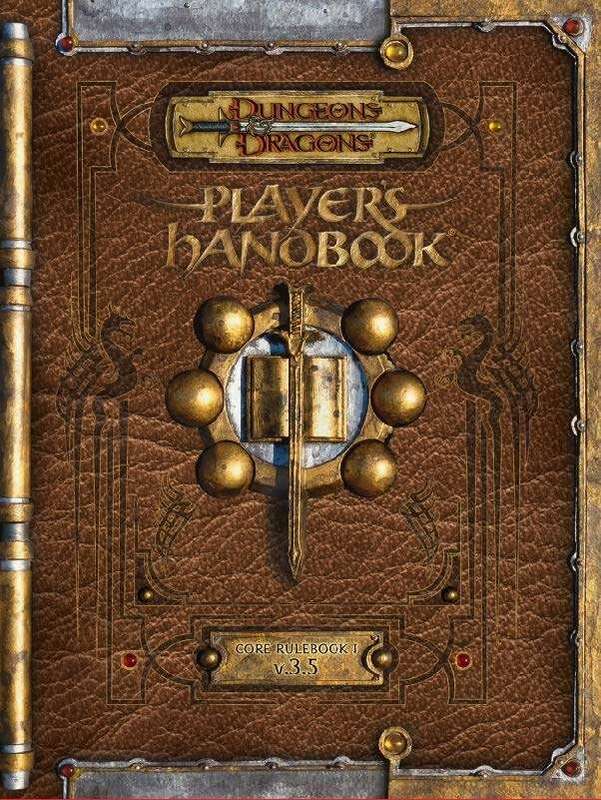 The revised Player’s Handbook is the definitive rulebook for the 3.5 edition of the Dungeons & Dragons role playing game. 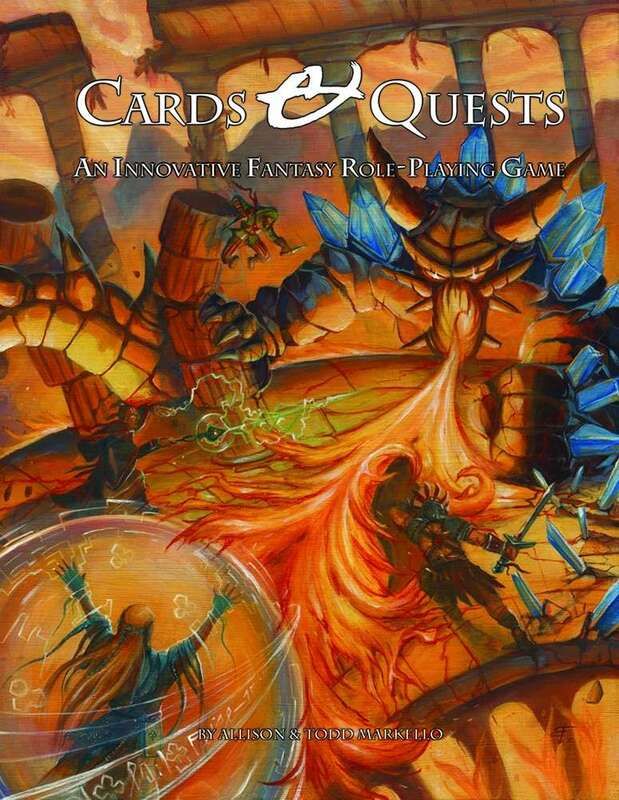 It contains complete rules for the 3.5 edition and is an essential purchase for anyone who wants to play the game. The revised Player’s Handbook received revisions to character classes to make them more balanced, including updates to the bard, druid, monk, paladin, and ranger. Spell lists for characters have been revised and some spell levels adjusted. Skills have been consolidated somewhat and clarified. A larger number of feats have been added to give even more options for character customization in this area. As always, I like to use this forum to point out both popular, big releases as well as new things you might otherwise miss. Today’s the latter, as I point out Skirmisher’s new Cards & Quests: An Innovative Fantasy Role-Playing Game. I’ve long wondered why I’ve not seen more games based primarily on the classic card deck. Closing out with the Savage Friends Theme, here’s one of those great scenario/map combos that DramaScape does, thanks to their relationship with Pinnacle. To Preserve Our Vows ties into the Arabian Fortress map set, and optionally connects to their Oasis Ruins set as well, tying everything together with an epic adventure. This product is a full-color, 16 inch by 10 inch, 3 level, Battlemap of an Arabian Tower, with Hex, Square and No overlay and comes with a Savage Worlds Adventure. 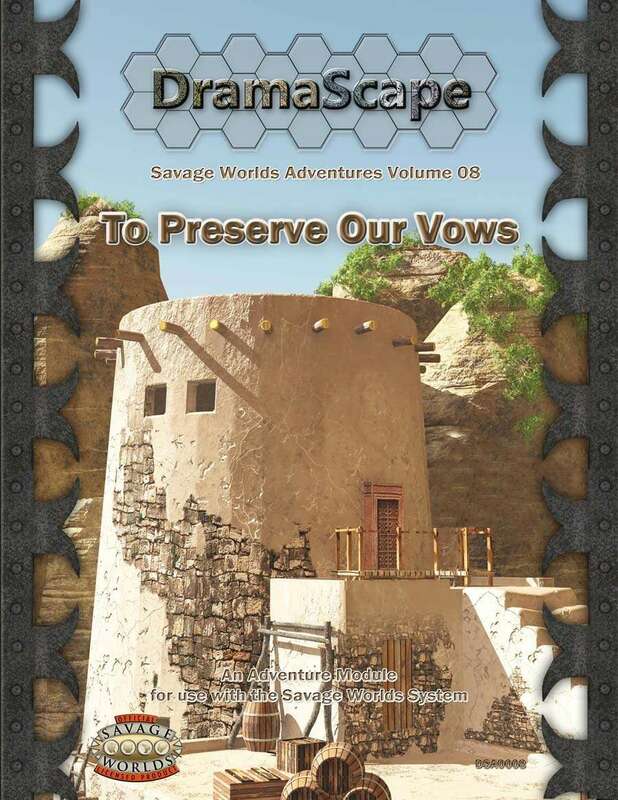 To Preserve Our Vows includes three two-page add-on maps to the Arabian Fortress, a throne room, vault, and harem room for placement as interiors inside the western tower and two pages of NPC cards. To Preserve Our Vows: When the wives of Earl Geoffrey Corwin and Confrere Henri Blanche are kidnapped by the Sultan of Rûm, Mesud, for his harem, the Earl offers to fill the Templar’s coffers to help get her back. The Templars offer him a small force of men for his small initial donation and the Earl pays for additional mercenary support. But will it be enough to get into the Sultan’s Palace and rescue their wives? The theme continues (you’ve guessed, right?) with today’s Pick, which comes right from the list of Origins Award Nominees. 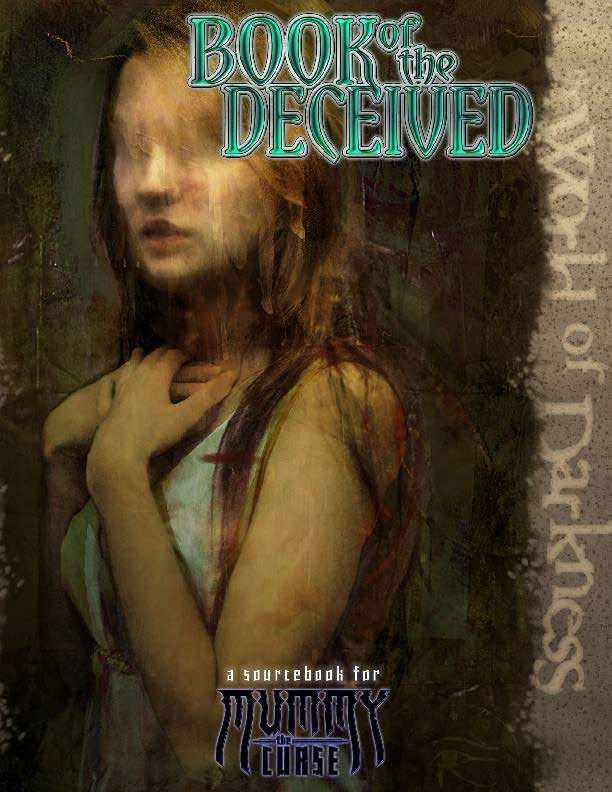 Good friend and Pinnacle Art Director Aaron Acevedo is one of the many talented artists Onyx Path used on the Book of the Deceived, a delve into the darkest parts of Mummy history and mystery. The inscrutable history, motives, and inner workings of the so-called Lost Guild of mummies. Enemies to most and a mystery to all, theirs is a multi-millennial legacy of treachery, madness, and revenge. 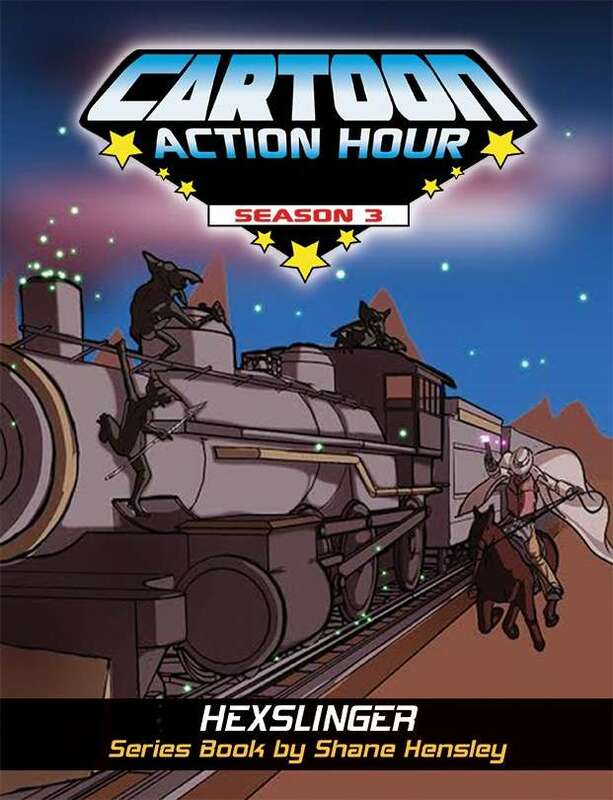 In this Cartoon Action Hour: Season 3 series book by Shane Hensley, which can best be described as a hybrid of westerns, science-fiction and fantasy, groups of Hexslingers (rangers armed with clockwork firearms hurtling manite slugs “hexed” with various magical powers) patrol the untamed Outlands in an effort to make life safe for settlers and travelers alike. My week’s starting out pretty Savage (in more ways than one), and today’s Pick reflects that. Not only am I the guest author for the Designer’s Diary for this issue, there’s a huge amount of material of interest to any Savage Worlds fan (or any gaming fan, really). Obatron is pushing hard to really get the Savage Insider line going, and this is a strong issue for them. 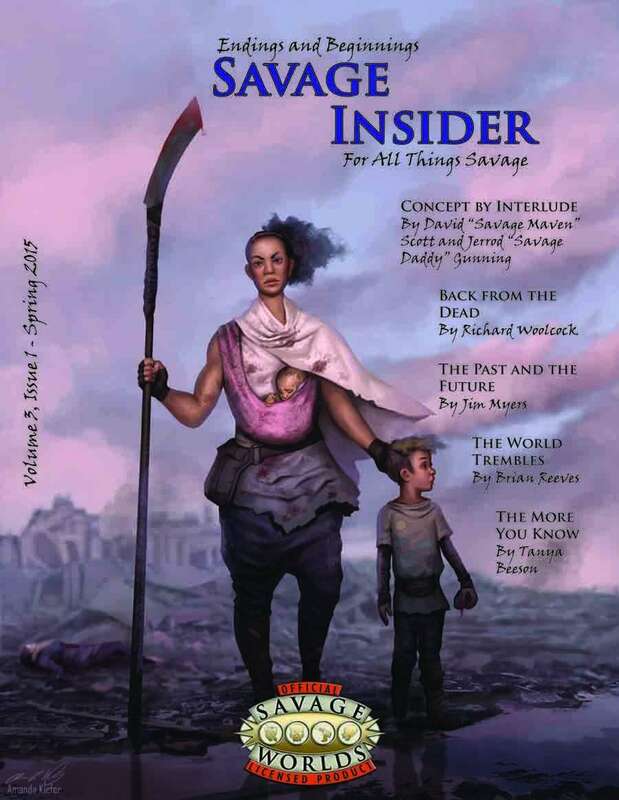 We’re passionate about Savage Worlds and want to share that with you. The theme is Endings and Beginnings, which it is threaded throughout all the pieces and covers a range of genres. Two Discounts Off Maps by Middle Kingdom Exploration & Trading Co. Recent Releases – From January to March. Upcoming Releases – Works in the works. Designer’s Diary – Sean Patrick Fannon talks about Evil Beagle Games’ Shaintar: Legends Unleashed. Game Prep: Concept by Interlude – Finding out who the character is before deciding what they can do! Game Prep: The End is Nigh! Or Is It? – Tips for handling bringing a campaign to its close. Esoteric Orders: An Abundance of Gods – Shinto inspirations for any genre. with NPCs, powers, and setting sketches. Equipment Corral – Two pieces for your collection at both ends of the spectrum: one to bring death and one to bring life. Character Gallery: Three Masters of Action – After the lives they knew ended, all transform to take on anything thrown their way.. Mechanics Wise: Back from the Dead – Unconventional options for handling character death. Expanded Mechanics: The More You Know – Getting more out of language and knowledge skills. Stories to Inspire: The Past and the Future – When a deserter becomes a vigilante, there’s a fine line between criminal and hero. Surveyed: The Pride of Thalsen – A small, but influential village faces the theft of a treasured artifact. A great place to start a campaign. Great Adventures: The World Trembles – A campaign-ending adventure for Legendary Ranks. Can they defeat Ashur and all the aliens brought with it, or will their fantasy world die? Great Adventures: Escape from the Apocalypse Myceleon, Destroyer and Devourer – On the edge of Unknown Space, an immense, alien being seeks to make a meal out of a planet. With this issue, we introduce “stretch goals” to unlock free content between issues! Simple tasks like sharing Facebook links, tweets, and G+ posts, reviewing the magazine on DriveThruRPG and RPGNow websites, and other quick-to-do items are the key. Buy it now to use at your next game and to find out all the details on unlocking the freebies! One of truly legendary fantasy series of all time is that of Fritz Leiber’s Lankhmar saga. It was one of the great influences on Gary Gygax and many others involved with the earliest days of Dungeons & Dragons (Fritz was actually a fan of the game, and a frequent guest at game cons). It’s been missing from gaming for a time now, at least as a major RPG release. Now, it’s back, and as Savage as it truly should be, thanks to Pinnacle! 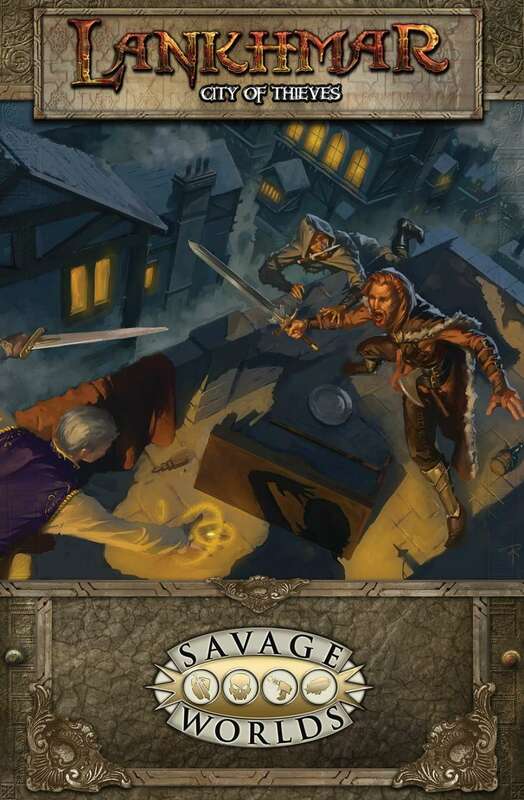 Today’s Pick marks another Shaintar release, this one not from Evil Beagle Games, but from our friends at Melior Via, the publisher of the Accursed setting for Savage Worlds. 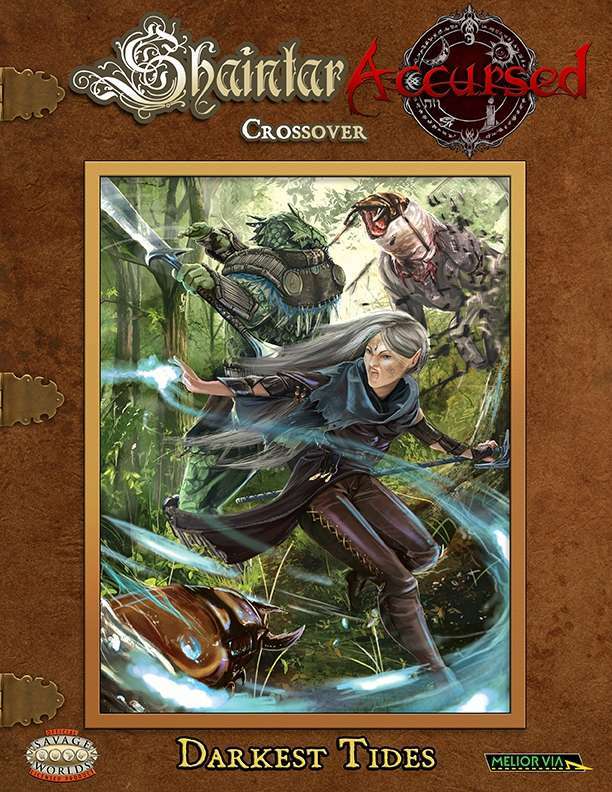 In fact, it’s a crossover adventure between the two settings, Morden (the Accursed lands) and Shaintar! The adventure begins in earnest when the heroes arrive at Cata’Lasis or Respite—places that conceal a connection between worlds. Ranking members of the heroes’ organization have sent the characters to the island in response to a request for aid. The aid requests are in response to numerous sightings of unusual creatures that have taken place in the area. Tracking the corrupted beings uncovers a larger tunnel complex. Examination of the caverns reveals that they are the remains of something ancient. Darkest Tides is a full length adventure for a band of Rangers from Shaintar. It can also be adapted for Witchmarked heroes from Accursed. The adventure may be played as a standalone, or it may integrated into a larger campaign. It follows a four act structure, while also providing details on the regions of Cata’Lasis in Shaintar and the corresponding city of Respite on Morden from Accursed. Darkest Tides includes necessary game mechanics and opportunity for tasks that can be resolved in a variety of ways. Conversion notes are provided for transferring characters between the two settings.